In a world of shrinking budgets, data growth and technology innovations, network infrastructures put in place 20 years ago can no longer handle today’s IT requirements. The New IP represents a change in the network from a physical to a virtual entity, and prepares federal IT environments for the future. Are agencies ready to adopt the New IP? To determine federal agencies’ understanding, needs and propensity to adopt key elements associated with the New IP, Market Connections conducted a study of federal IT decision-makers on behalf of Brocade Federal. The research revealed budget constraints, limited internal resources and lack of expertise as the top challenges to making network improvements. 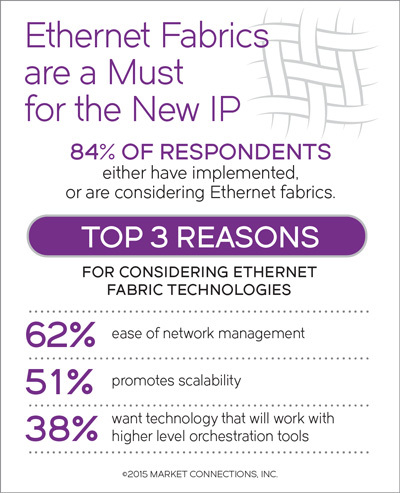 However, infrastructure improvement does not necessarily need to be a barrier to adopting the New IP. Fill out the form below to download the research report, white paper and infographics.